Kimchi, that polarizing combination of napa cabbage, gochujaru, ginger, garlic, gochujang, and fish sauce, though one of my current Korean favorites, was not always on my radar. While there may have been an odd mention of it here and there during trips to Houston, New York, or San Francisco, the cabbage based dish truly came into my world a little less than a decade ago when I was reading Jeffrey Steingarten’s excellent book “The Man WhoAte Everything”. In his book, Steingarten aimed to broaden his already well cultured culinary horizons and began this quest by creating a list of food phobias. Second on the list was the aforementioned kimchi. Although I highly suggest reading the book on your own, I’ll spoil the surprise by saying that Steingarten came to love kimchi by means of exposure and repetition. 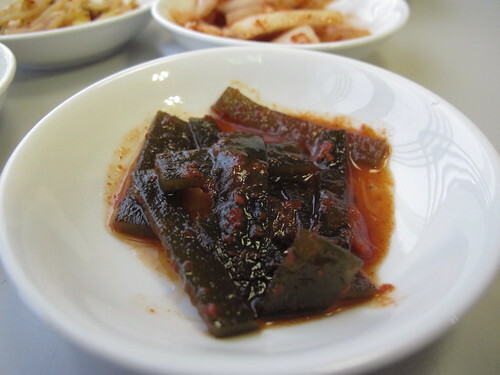 On the other hand, I was, for the most part, rather ambivalent towards the national pickle of Korea. I’d give it a try, say that’s not bad, and move along, but the past few years of venturing into Korean restaurants across the south have given me a new appreciation for the dish which brings me to the balmy January morning in Birmingham when I decided to cross the threshold of Seoul Restaurant. I had hoped that when I walked inside Seoul that I would be hit with the smell of ashy charcoal, sizzling meat, and the sound of chopsticks clicking on bowls of banchan. 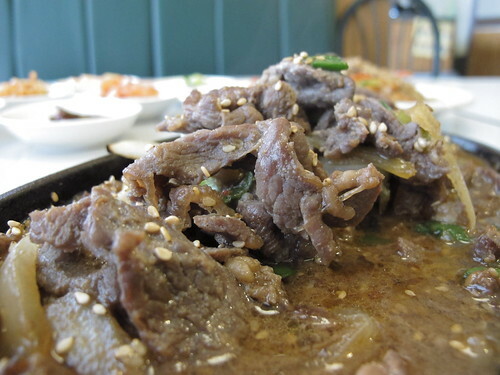 Sadly, Seoul doesn’t offer Korean bbq, but at least there’s still bulgogi on the menu. 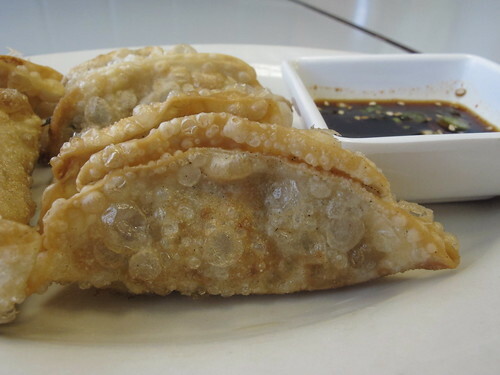 But before the beef would arrive, an order of deep fried mandu would get the meal started. 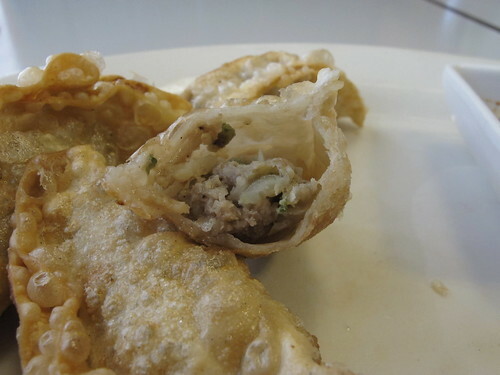 Well fried, crispy, and not at all oily, these pork mandu were a fine beginning. Despite missing any kimchi or glass noodles, the simple filling of pork and greenery was still quite satisfying. 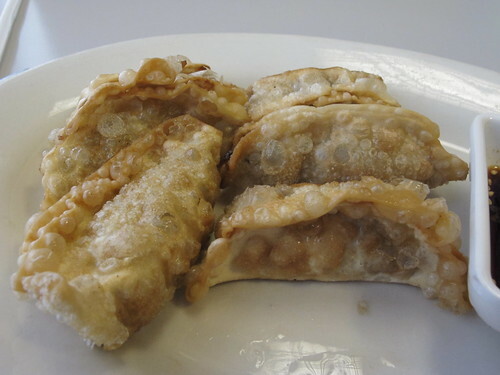 Missing kimchi aside, these were well fried dumplings that were balanced by the rice vinegar tartness of the dipping sauce. At this point, my table began to swell with bulgogi, japchae, and the full assortment of banchan. There may not be any grilling involved, but it had the look of a damn good substitution. Dumplings done, the bulgogi was up next. 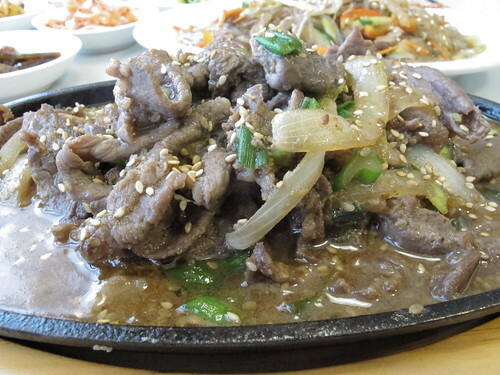 Served in a crackling hot cast iron plate, this serving of bulgogi was still faintly sizzling 10 minutes later. Thinly sliced and slightly chewy, it was brimming with beef flavor that was only augmented by the addition of sesame seeds and sesame oil. 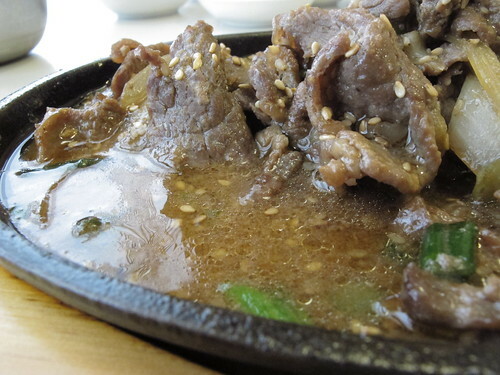 Erring on the side of being a bit too sugary, it was still hard to leave this bulgogi alone. The nuttiness of the sesame carried over to the sweet potato noodles but this time was mated with caramelized carrots, zucchini, mushrooms, bean sprouts, and a little more beef for good measure. 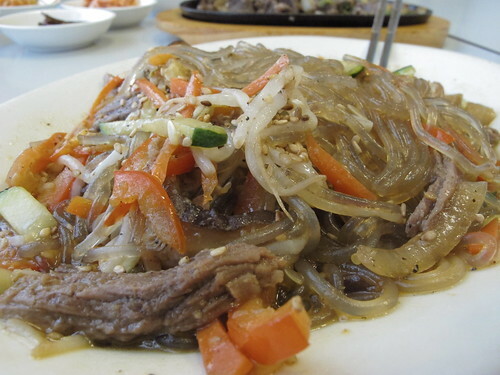 Juicy, nutty, beefy, this was homestyle japchae. Much like the bulgogi, these noodles were inundated with sauce and each piece of vermicelli was literally dripping with flavor. Of course, I can’t forget the banchan. 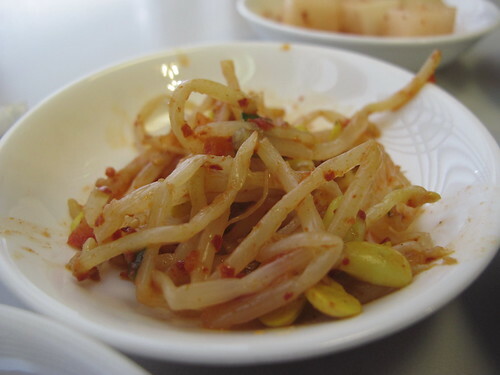 The crunch of bean sprouts with the heat of chili paste never gets old. I don’t often see kombu as the focus of the dish, but the combination of sweet and spicy with the kelp worked quite well here. What would a visit to a Korean restaurant be without kimchi? 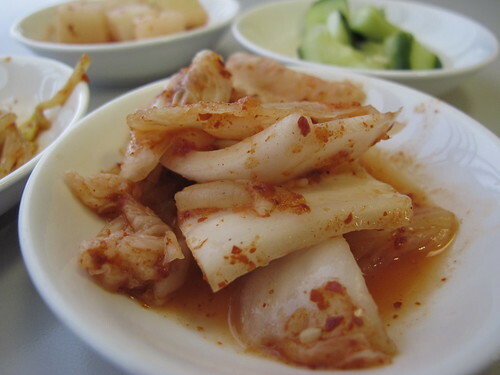 Seoul’s kimchi was lightly fermented and a bit watery at first with just a hint of a chili pepper powder on the tail. Despite numerous complaints about speed of service on Urbanspoon and Yelp, after my meal I had none of my own. Even though time and appetite forced me to leave the stews, seafood, and rice bowls section completely untouched, I still feel that the bulgogi, japchae, and mandu left quite an impression. While Seoul is far from pushing the boundaries of Korean cuisine, there’s a menu of familiar favorites that are prepared simply and well. Sometimes that and a little kimchi are all you need. 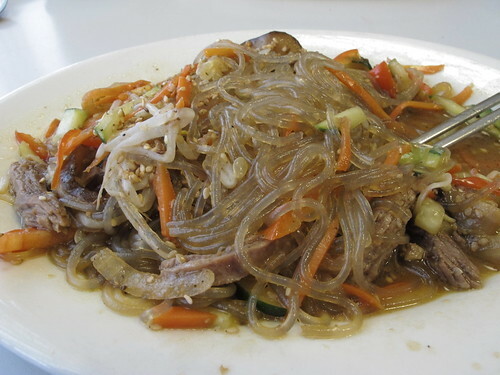 Next time you are in NOLA you should check out Little Korea on St. Claiborne. You can grill the food there. -Thanks for the suggestion, I'm always looking for new Korean bbq. Great review. I just tried a little place here in Winnipeg called Kimchi Cafe. Korean food certainly will be something I'm on the lookout for in the future. You alive? Worried about the lack of updates. - Thanks for the concern. I am, thankfully, still alive but blogging has taken a backseat to the rest of life. I do have a backlog of posts to write so hopefully there will be something new in the very near future. I'm guessing you lost your job or are on a diet? Either way, hope life is treating you well. Sure do miss your posts and pics.